The official Head of the Family mug is perfect for holding your beverage of choice and creeping out everyone else at the table. 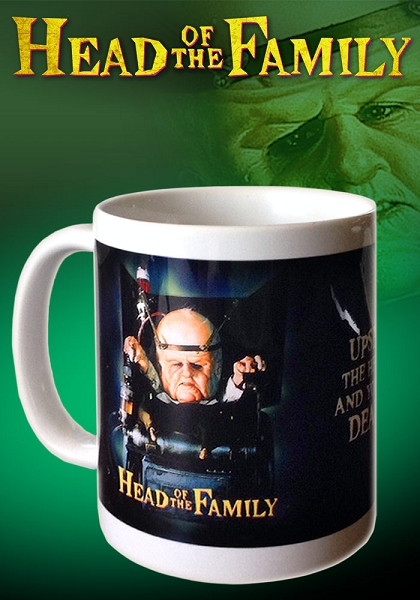 Mug features Head of the Family poster on the front, the movie's tagline "Upset The Head And You're Dead!" on the side, and the Full Moon Features logo on the back.